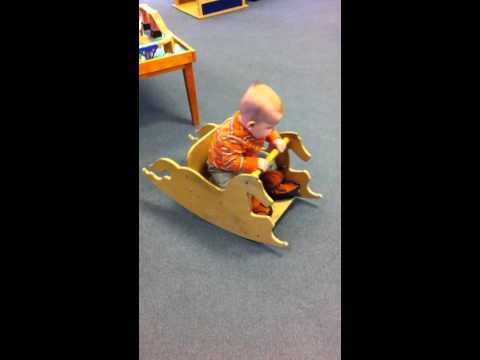 Jack loved this little rocking horse at the library. And he was really checking out the lady who was browsing the new fiction just a few yards away. Rocking and checking out chicks. That's my Boy! ...a few (ten!) months makes. 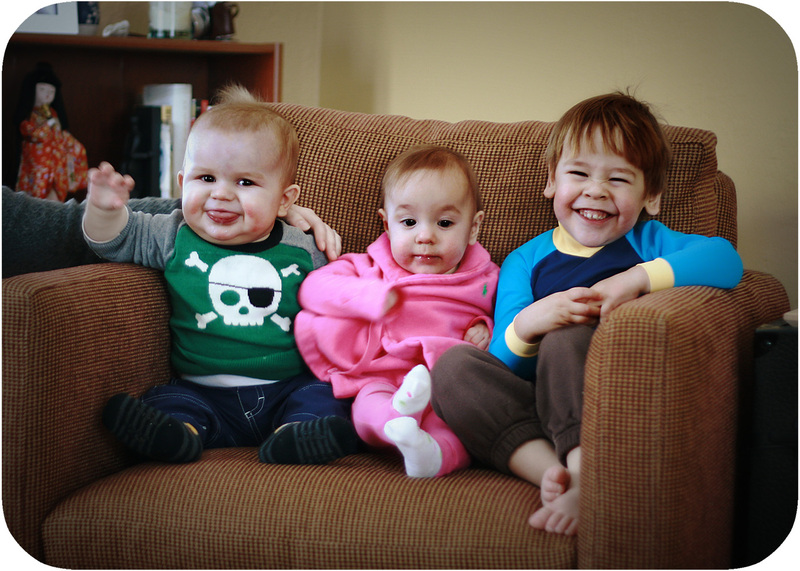 This is Jack and Elsie on the Chair at the end of March, 2010. And this is Jack and Elsie (and David!) on the Chair just a few days ago. Elsie is Jack's first little girlfriend. They were buddies in the bellies. Elsie's Mama, Sarah, and I have been friends since high school. 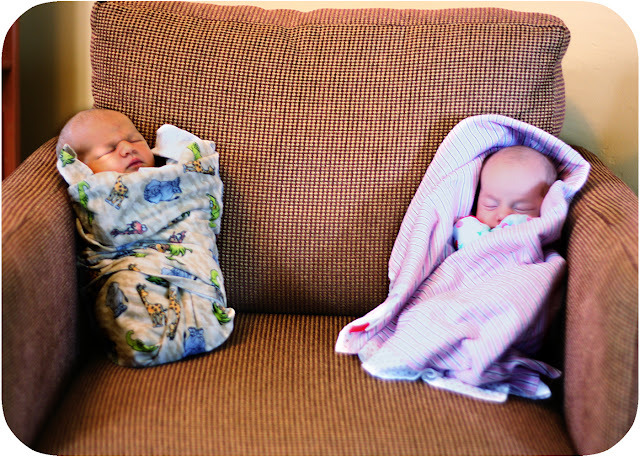 Jack and Elsie have been friends since birth! I'm so excited to watch their friendship evolve over the years. I'm also excited to make them sit on the Chair every time Elsie visits and force them to have their photo taken. I'm the Mama. I can do that! p.s. It's also interesting to watch my photography skills evolve. That first photo is so awful. I had to Photoshop the heck outta it, and it's still terrible. The second photo isn't great; but I'm still perfecting the "get a great photo of three moving targets" technique! I took Faith's Simplicity photo class at the end of last year, and I didn't really finish it. Life got in the way, you know? I was also trying to work on our Mac Mini, which is too slow for processing big image files. Now, I'm all set up on my new computer thanks to my amazing husband. Thanks, John! This thing is awesome. I'm not technical, but all I know is that this thing is fast. Like, blow your socks off fast. At least compared to anything I've ever had in the past. Plus, I have two monitors. Yeah. Two monitors. How fancy is that? I'm taking Faith's Basics of SLR class. My goal is to learn more about shooting in manual mode (gasp!) and to get more confident in using it. I currently use manual mode about a third of the time. I think it's challenging to shoot the Boy in manual mode, but maybe that's just a mental hurdle I need to get over. So, stay tuned for examples of my homework assignments. And wish me luck in my journey towards better photos! Just wanted to check in and let you know that we survived the holidays. I haven't posted much lately because my computer is so slow. It takes forever to edit photos, and I don't like to do blog posts without photos. My new super-fast, super-awesome computer was ordered last night; blog posts will resume very soon!